There are two types of processive cellulases, exocellulases and processive endoglucanases. There are also two classes of exocellulases, ones that attack the reducing ends of cellulose chains and ones that attack the nonreducing ends. There are a number of ways of assaying processivity but none of them are ideal. It appears that exocellulases, all of which have their active sites in a tunnel, couple movement along a cellulose chain with cleavage of cellobiose from the end of the cellulose molecule. There are two sets of structures that suggest how an exocellulase might move along a cellulose chain. For family 48 exocellulases there are two different ways that a chain can be bound in the active site while for family 6 exocellulases there are several different ligand-bound structures. Site-directed mutagenesis of Thermobifida fusca exocellulases Cel48A and Cel6B and the processive endoglucanase Cel9A have identified some mutations that increase processivity and some that decrease processivity. In addition a mutation in Cel6B was identified that appears to allow the mutant enzyme to move along a cellulose chain in the absence of cleavage. 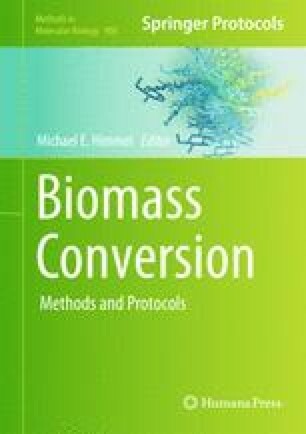 This work was supported by the BioEnergy Science Center (BESC), which is a part of the U.S. Department of Energy Bioenergy Research Center supported by the Office of Biological and Environmental Research in the DOE Office of Science, Oak Ridge National Laboratory. We thank Mo Chen for preparing the figure.